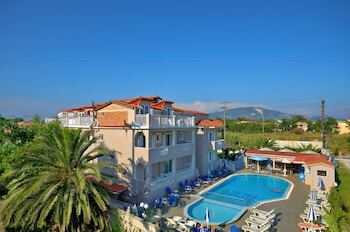 A stay at Garden Palace Hotel places you in the heart of Zakynthos, steps from National Marine Park of Zakynthos and 4 minutes by foot from Laganas Beach. Featured amenities include express check-in, a 24-hour front desk, and multilingual staff. Free self parking is available onsite. With a stay at Helena Hotel in Chania (Chania Town), you'll be a 4-minute walk from Chania Lighthouse and 8 minutes by foot from Venetian Port. The front desk is staffed during limited hours. With a stay at Vesperi Studios Apartments in Rethymnon, you'll be near the beach, within a 10-minute drive of Fortezza Castle and Town Beach. The front desk is staffed during limited hours.